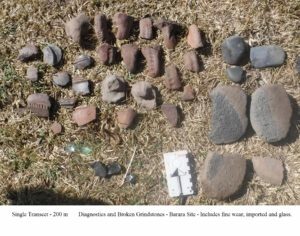 A team of archaeologists have identified the remains of what they suggest may be Barara, Ethiopia’s largest lost medieval city. The city was thought to be a powerful center of trade and commerce during medieval times, and some medieval chroniclers identified Barara as the capital and governing seat of the legendary Prestor John, a Christian patriarch and king who was popular in European chronicles and tradition from the 7th through the 19th centuries. But after hundreds of years of prosperity, the city was thought to have been destroyed, possibly by the forces of Ahmad Gran the “left-handed” during the Religious Wars. 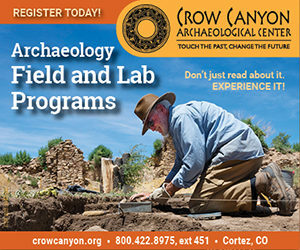 Walker and his team employed a variety of tools and approaches in their investigation, including historical documents research, interviews, mapping, remote sensing, and archaeological survey. Cooperating with Ethiopia’s government and community authorities, they were able to uncover or re-interpret already existing data, utilize remote sensing information, as well as geographic and material evidence on the ground, to draw conclusions with what they believe to be a high degree of confidence. The initial key to their research was intense study of a famous map of the world made around 1450 by the Italian cartographer Fra Mauro. Walker hopes that the new findings will open up more study and research on Ethiopia’s deep and complex history, shedding light on a region that has played a more significant role within the narrative of Old World civilization than previously realized or recognized in the popular literature. Walker relates a more detailed account of the new discoveries in the article, Revealing Barara: The Long-Lost African Medieval City, a premium article published in the Spring 2019 issue of Popular Archaeology. Single-line 100 m field transect – Only diagnostics were collected and returned – Wheel-thrown and imported pottery, glass, and porcelain indicate outside influences and trade. Typical of an Imam Ahmed destruction, millstones and grinders have been shattered. Similar ceramic styles to early medieval vessels found at the Christian capital of Soba, Sudan (south of Khartoum) point to commerce and contacts. One of the hundreds of tombs identified among five cemeteries at the Barara site discovered thus far.